Discover Pandora is a new, interactive exhibition inspired by the extraordinary creatures, breathtaking environments and inspirational cultures of James Cameron’s successful and popular cult film. More than 10, 000-square-foot entertainment and educational experience. 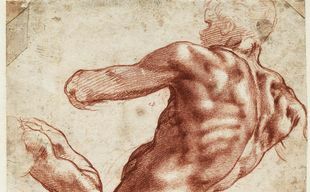 The Hungarian public can see Michelangelo's artworks for the first time within the confines of this exhibition opening in the Museum of Fine Arts, presenting 80 pieces of the famous Renaissance master and his most eminent contemporaries. Sandro Miller is an acclaimed photographer who lives in Chicago, and he is very sought after in his field since decades. His exhibition entitled 'Malkovich, Malkovich, Malkovich: Homage to Photographic Masters' has just opened in Kunsthalle, Budapest. We asked him about this special project, and also about his dedication to photography and the friendship between him and John Malkovich. Nominees of the 61st World Press Photo are revealed, 6 pictures are competing for the honorable title 'World Press Photo of the Year'. Winners will be announced on the evening of Thursday 12 April at the World Press Photo Awards Show in Amsterdam. The exhibition at the Hungarian National Gallery proudly displays a rich selection of some of the chief works held by the Museum of Fine Arts Budapest, which is closed for reconstruction, scheduled to last three years. Computers democratised art, gave freedom to the artists and abolished the artificial democracy among art forms generated by the socialist cultural policy. The large-scale exhibition maps the art of Amedeo Modigliani (1884–1920). Sculptures, paintings and drawings show the main areas of the artist and his stylistic turns and his relationship to other contemporary.